Experts agree that sleeping on your back is the healthiest sleep position for most people (compared to side and stomach sleeping). Still, only eight percent of the American population sleeps on their back at night. The health benefits of sleeping on your back center mostly on the ability for your head, neck, and spine to find a neutral alignment and pressure relief in this position. These are keys to a comfortable night’s sleep and lack of stress, stiffness, or pain when you wake in the morning. 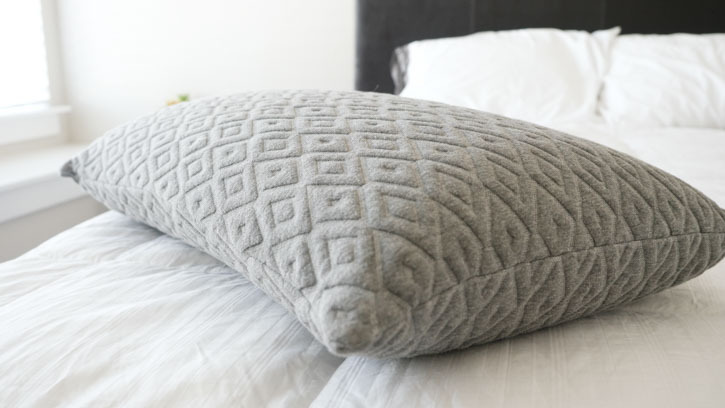 Choosing a pillow to complement your back sleeping and support proper neck alignment not only ensures you’ll stay comfortable, but it’ll also help you avoid sleep disturbances such as snoring (and avoid wrinkles, too!). We’ve put together our favorite pillows for back sleepers, and we included some things you should look for when you’re buying your next pillow. Sweet dreams! Dr. Loth's SpineAlign pillow is designed by a chiropractor for back and side sleepers. The middle chamber should support the cervical curvature of your neck while back sleeping. The pillow is adjustable within its chambers and the cover is a soft Tencel blend. The Bear Pillow is a solid piece of ventilated LOFT-X foam - a hybrid of memory foam and Latex foam. The outer cover is Double Ice Fabric that is cool to the touch. It's got a nice loft and feel for back sleepers and will keep you cool all night. Brooklyn Bedding's Talalay Latex pillow in Plush is a great option for back sleepers. It offers a lot of good support but its resilient nature supports the head and back of the neck. The cover is very soft knit and removable so it's easy to clean. 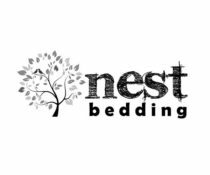 Nest Bedding's Easy Breather pillow has a soft textured Tencel outer cover and is adjustable. This means you can open up the pillow and access the inner filling, which is a mix of polyester fibers and shredded foam. Back sleepers can customize their height and loft preferences. Dr. Loth’s SpineAlign pillow is designed so you can rest with your head, neck, and spine in neutral alignment. This way there’s no strain on any particular muscles. Designed by a chiropractor, its shape features a center chamber for back sleepers and outer chambers designed for side sleepers. The pillow has zippers for each chamber, so it is also adjustable and you can remove filling from different sections as you desire. You can’t machine wash or dry it, so be sure to use a cover or pillow protector. There is an adjustment period as you find the right height and firmness, but once you do, the center chamber becomes an awesome and supportive place for back sleepers to rest their heads. Check out my full review of the SpineAlign pillow here. Bear’s pillow has so many great features for back sleepers. Inside, the solid piece of ventilated foam is called LOFT-X foam and is a hybrid of memory foam and latex. That means you get a really nice level of support (around a 5″ height profile), but your head doesn’t slowly sink in; it remains supported by the bouncier latex foam. Also, the outside cover is soft and breathable. With its Double Ice Fabric, it’s cool to the touch, and the mesh side panels promote airflow. Read the full Bear Pillow review. This pillow is a great option for fans of a down alternative feel and those who want to sleep on their backs but also want a level of customization. The pillow cover is soft, breathable, and super smooth feeling. The inside is “Smart Fluff,” or a mix of polyester fiber balls that give it a soft and plush feeling. The zippers on the side are what make the pillow adjustable. When both pillows are zipped completely, the pillow will be at its firmest; when they’re both unzipped, the pillow is at its softest. You can zip one and leave the other unzipped (you get the idea) until the pillow is at the perfect loft and firmness for your back sleeping preferences. 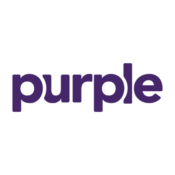 Read the complete Purple Plush pillow review. Brooklyn Bedding’s Talalay Latex pillow is a solid piece of aerated Talalay latex foam. While it comes in Firm and Plush options, the 7″ profile should work for back sleepers if you choose the Plush option. Your head should sink far enough into the latex foam to create a neutral angle, but the bouncier feel will keep it supported without going flat all night. The standout feature of this pillow is how cool it sleeps (learn more on that HERE). The ventilation in the filling promotes airflow, and the bamboo blend fabric on the removable outer cover is breathable (and super soft) as well. Read more about the Brooklyn Bedding Plush Latex pillow (also known as the #bestpillowever). 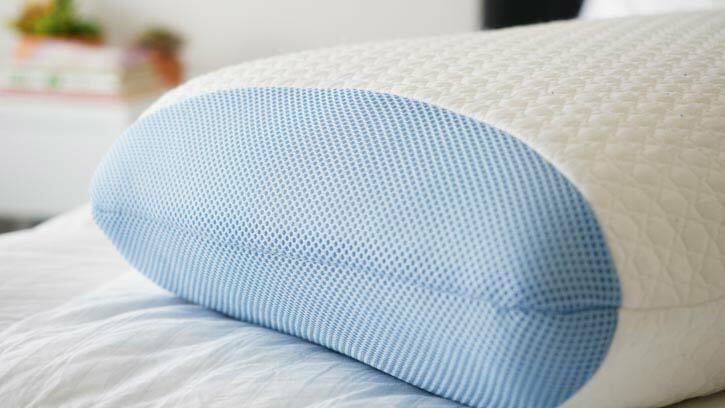 The Easy Breather pillow from Nest Bedding is an adjustable pillow. You can access the shredded foam/polyester fiber mix and add or remove as much of it as you’d like. This really makes it a great fit for nearly all sleep types, but it is the unique feel and firmness of this filling mix that really suits back sleepers. It’s not overly firm or chunky and supports the natural curve of the neck, helping to keep your back and spine in a neutral alignment. The outer cover is Tencel blended fabric, so it breathes very well and won’t sleep hot. I thought the added polyester fibers helped give it a cozier feeling than just straight shredded foam. It comes with a 30-day trial, so customers have a month to adjust the pillow to the right loft and overall feel to see if it could be a good fit for them. 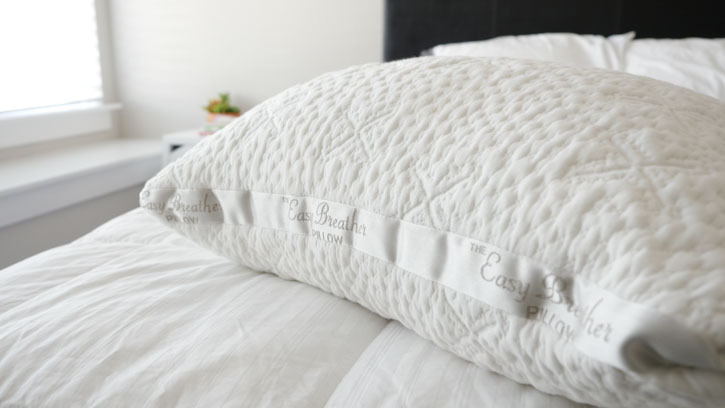 Check out the full Easy Breather pillow review. As we mentioned before, you want to find a pillow that helps your head, neck, and spine all stay in a neutral position. This will prevent unnecessary stress on your joints and leave you waking up refreshed and comfortable. The good news is that there are great pillow options for back sleepers that are made with down, a hypoallergenic alternative, memory foam, or latex foam. It’s really the personal loft and support levels that will make a difference in creating that neutral alignment between your head, neck, and spine. Your neck has a normal curvature that should be supported by the pillow. If the pillow has too much loft, your neck will straighten out, and if the pillow is too low, the curve will be intensified. Either of these positions will leave you with soreness and stiffness. When it comes to choosing the healthiest sleep position, back sleepers take first prize. The best way you can continue your healthy streak is by using a pillow that supports the natural curve of your neck and spine and helps keep everything in neutral alignment. There is no one-filling-fits-all pillow for back sleepers. There are plenty of options in classic down, foam, or even more unique materials such as Kapok fibers. Look for a pillow whose loft and firmness aren’t too high or too firm, as this can push your neck up and make it harder to breathe. If you’re unsure of what you like, your best bet might be looking into pillows that offer trial periods (plenty do). This way you can sleep on several pillows for a few nights and see which one leaves you feeling the best in the morning.